For many patients, clinical trials offer a chance to benefit from promising new treatments that are not available in the doctor’s office. Yet not all people have the same access to these opportunities. Groups such as racial minorities, older individuals, and those with low income are less likely than others to participate in clinical trials, according to government agencies. For example, the U.S. Food and Drug Administration reports that racial and ethnic minority groups represent only 19 percent of drug trial participants in the U.S., yet these groups make up approximately 36 percent of the population, according to the 2010 U.S. Census. 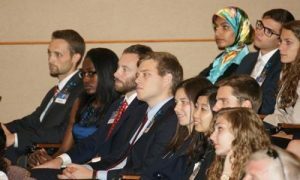 This lack of diversity also means that research findings ­may not apply to the general population. Mayo Clinic has many efforts underway to address this gap. The Mayo Clinic Office of Health Disparities Research works to increase participation of underserved minorities in clinical trials, in collaboration with organizations that serve these groups. One such effort is Mayo Clinic’s 13-year collaboration with the Volunteers in Medicine clinic in Jacksonville, Florida. Part of a national organization, the Jacksonville clinic serves working, low-income, uninsured patients and is staffed by two employees and 230 volunteer medical professionals. 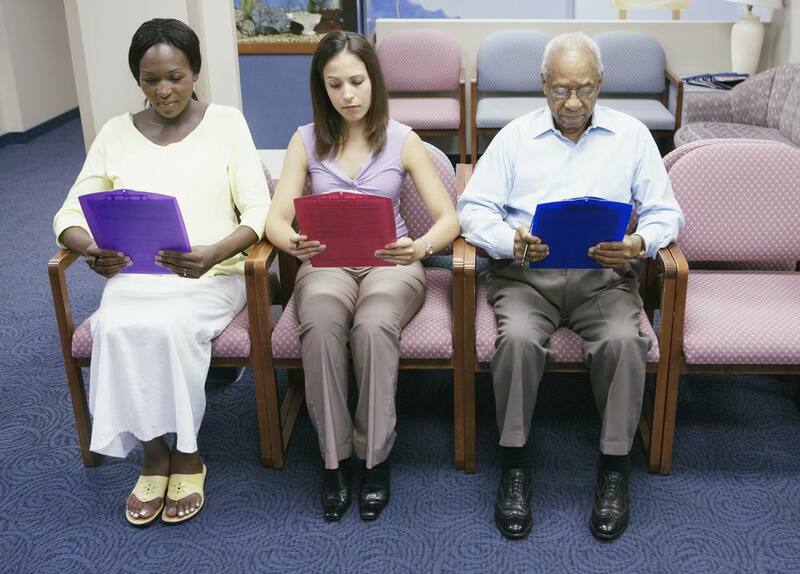 Approximately half of the clinic’s patients are African-American and 10 percent are Hispanic. “Mayo Clinic is trying to reach out to the underserved populations in the communities that we serve, to make sure that they have access to cutting-edge research that would benefit them,” says oncologist and researcher Gerardo Colón-Otero, M.D., who leads Mayo’s research collaboration with Volunteers in Medicine and is office chair of the Office of Health Disparities Research at Mayo’s Florida campus. Dr. Colón-Otero and other Mayo staff volunteers have provided breast cancer care to more than 250 patients at Volunteers in Medicine. Patients who have abnormal mammograms or breast exams receive further consultation and treatment at Mayo Clinic — including therapies available through clinical trials. 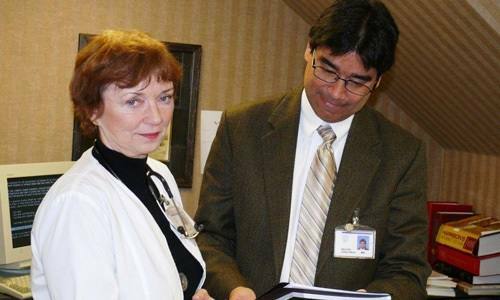 Volunteer nurse practitioner Mary Lesperance and Mayo Clinic oncologist Gerardo Colón-Otero, M.D., collaborate at Volunteers in Medicine clinic. In collaboration with Volunteers in Medicine and several faith communities in Jacksonville, Dr. Colón-Otero and his team conducted one of the first studies of genetic markers for follicular lymphoma in African Americans. Follicular lymphoma is one of the most common lymphomas in the U.S. Eighty-five percent of patients with follicular lymphoma have a chromosomal abnormality called a translocation that occurs between chromosomes 14 and 18. This abnormality, denoted as t(14;18), can be detected in a blood test. Recent data shows that when detected at high levels, t(14;18) is associated with a 23 times higher risk of lymphoma than in the general population. The researchers collected blood samples from participants using Mayo Clinic’s mobile research unit, then analyzed the samples in comparison with Mayo Clinic Biobank specimens collected from white patients. Based on previous studies on the prevalence of follicular lymphoma, the researchers were expecting the genetic marker to be less common in African Americans. To their surprise, it was equally common in the two groups. Their findings were published in 2017 in Annals of Hematology. In addition to helping identify biomarkers, this data adds to the body of knowledge about follicular lymphoma, providing clues into factors that may cause the disease. In a study published in 2016 in Cancer Medicine, a team led by Mayo Clinic researcher Carmen Radecki Breitkopf, Ph.D., surveyed Volunteers in Medicine patients about their knowledge of the human papillomavirus (HPV) and the HPV vaccine. HPV vaccination is an effective way to prevent cervical and other cancers. The researchers found low awareness — only half of those surveyed had heard of HPV, compared with 64 percent of the general population. Likewise, just 32 percent of survey participants had heard of the HPV vaccine, compared with 63 percent of the population at large. The Office of Health Disparities Research team is currently piloting an HPV vaccination program at the clinic. Learn more about health disparities research at Mayo Clinic. Jul 11, 2017 · Is it fair to expect students from minority backgrounds to ‘give back’ in their careers? Learn about health disparities research at Mayo Clinic.